I may have been dropping a few hints about spring fashion lately because really, who says you can't ;)? Have you all noticed a huge change this winter? 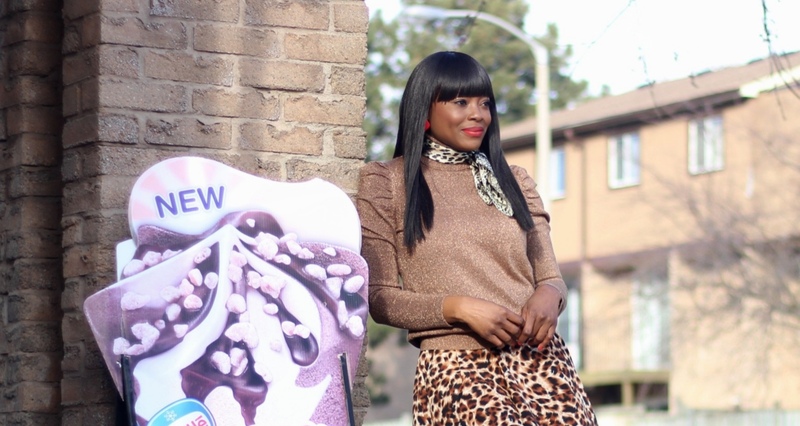 More people are wearing and embracing very colorful outfits instead of the usual black and grey. Pretty awesome, right? Well, get ready for an even more colorful spring this season. One thing i have learned in years is, it isn't really how big your closet is that matters, but how well you wear every piece you have in there that counts. One or one thousand, rock it like it is all you have. Stripes make the most statement in the most classical way, and layering with stripes is so phenomenally chic. 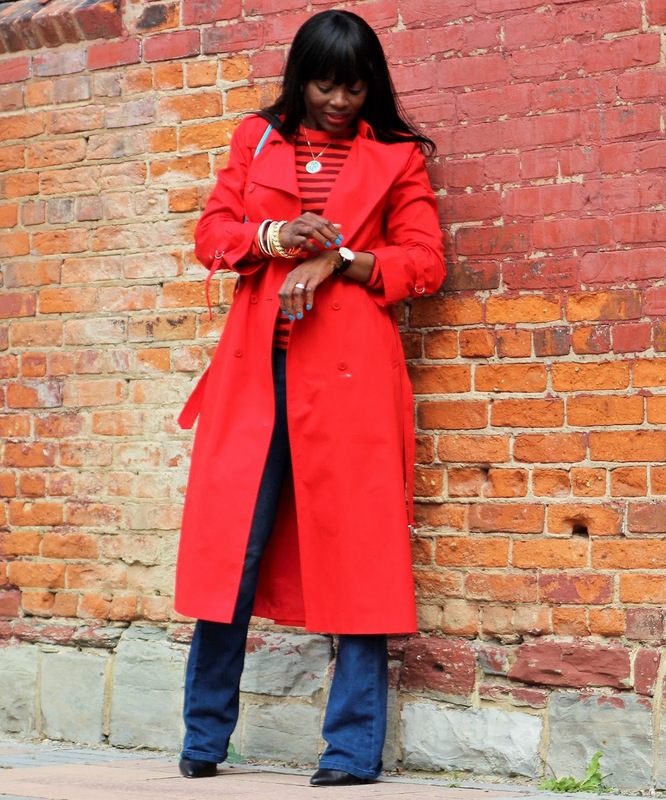 I have had this trench coat for a while now and it has served me well, come fall or spring. Styling it each time i wear it makes it feel so brand new. This time i decided to style it with two classic pieces that will never ever go out of trend- Stripes and denim pants. You can never have enough striped pieces or denim in your closet. 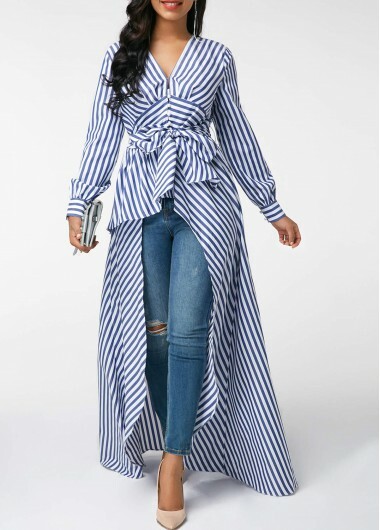 Being a long double breasted, solid colored red trench coat makes styling it with a printed top like this striped shirt and wide leg denim pants chic without even trying. For those of you who may be wondering -No, i am not wearing a coat in Turks, but I wore this outfit during one of my last chilly days running errands in Toronto before heading here to Turks. 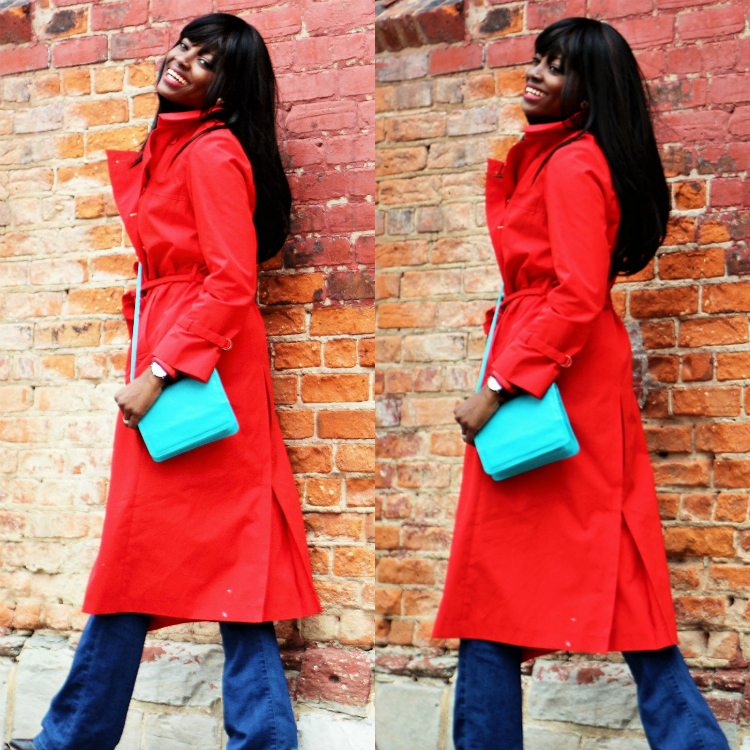 I do love that coat...its bright colour makes it an infusion of good vibrations! The flare jeans are just divine...and you have styled them phenomenally! The photographs are so lovely...you do have a winning smile, you know. An I love the way you wear it doll! These are the perfect jeans for this outfit! 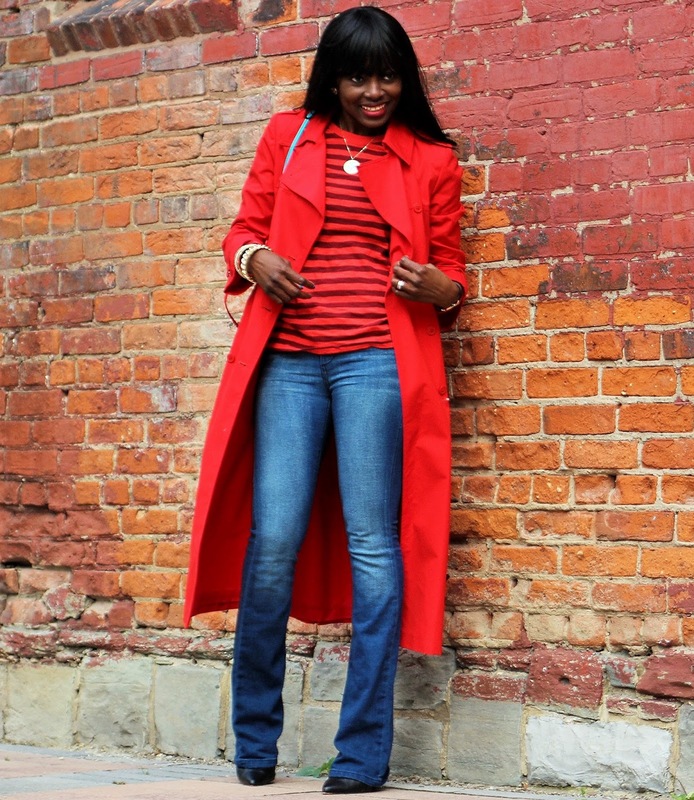 loving the striped red tee and vivid red coat, beautiful and perfect. It is how you wear it...and you wear it so amazingly well. 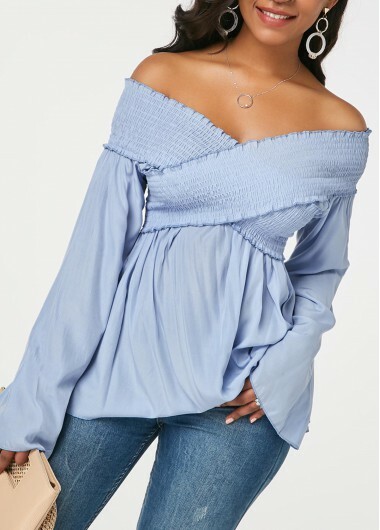 Yes to color this winter and spring! Beautiful as always. This is a bold jacket love it! I love that coat, can I come and the it? Red is my favourite colour!! !i love your outfit and your coat is super! Awesome colors! You look fabulous like always! I love how you're playing with colors! Such a Great color on you my dear. Out of all the colors I think red is the one that looks most beautiful on you. Absolutely stunning! This outfit is a stunner! Love the long red cute, you look gorgeous babe! You're totally right and you always make great colourful combinations. Only you can rock colours so well!! I could never pull that look off, red and turquoise. You rock everytime!!! Love that coat, so beautiful! You look stunning as always! 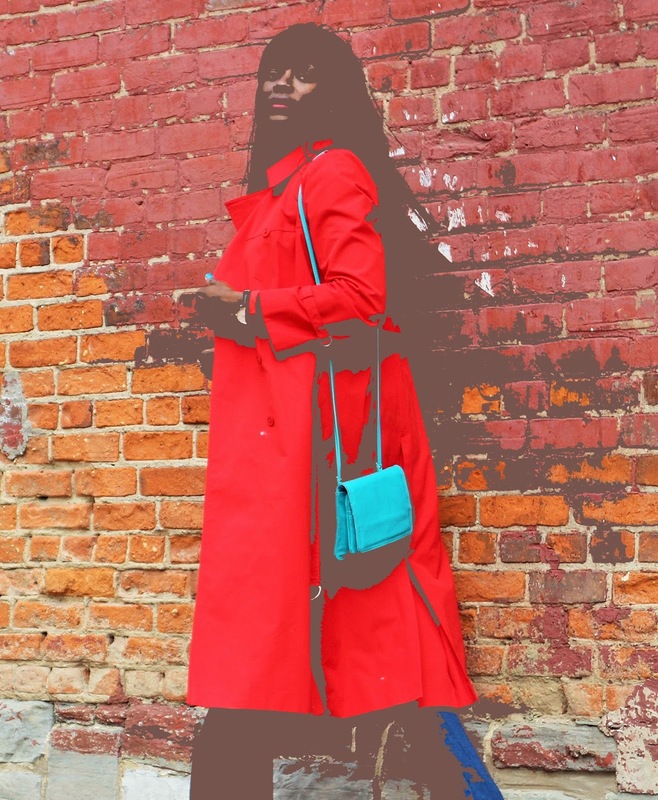 Red mac/trench coat is something! I also love the wide leg jeans that elongate the pins! 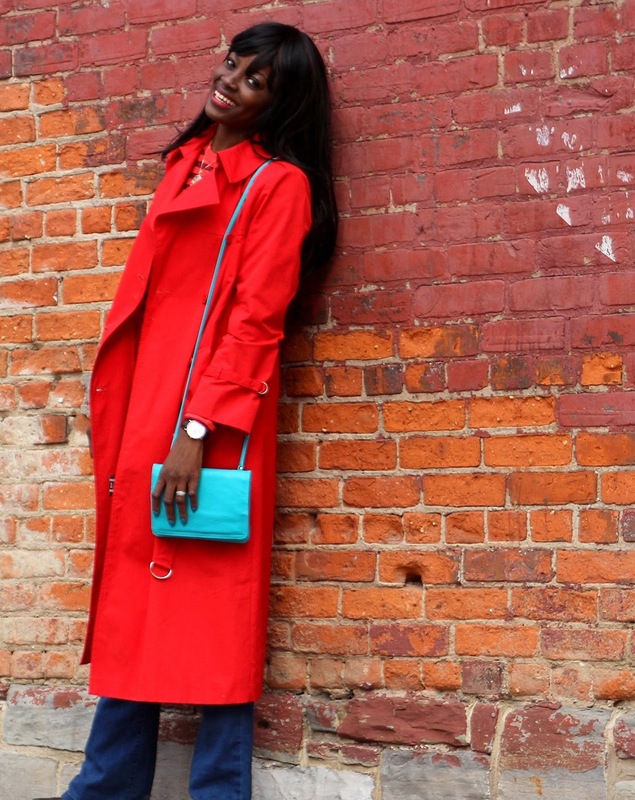 That is one hot red color, you look stunning in that coat. love the coat, you look amazing. Beautiful coat and its perfect with that flare jeans!! casual chic! love love the coat! 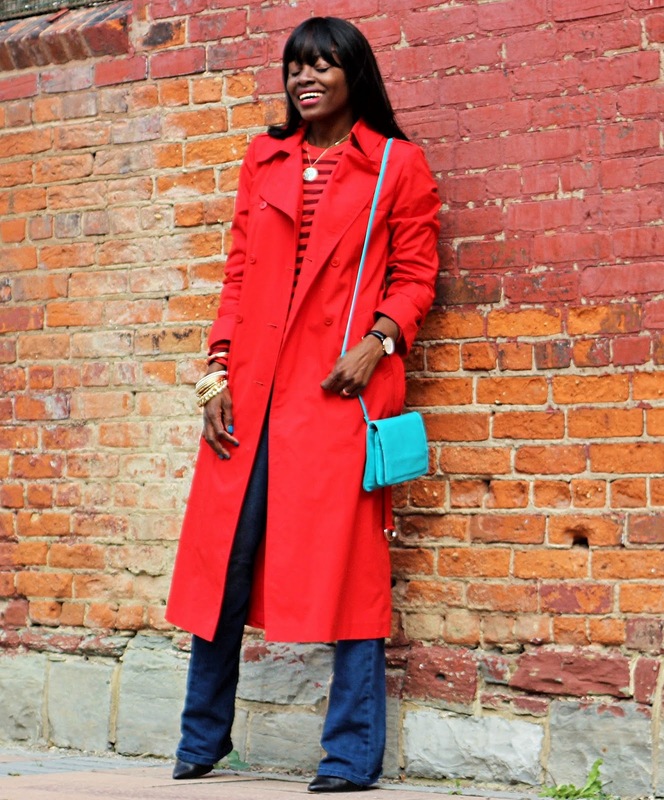 I love the red trench coat. It's refreshing to see you sporting color while everyone around me is in black, gray, and neutrals.